My Baby is now a Lady! 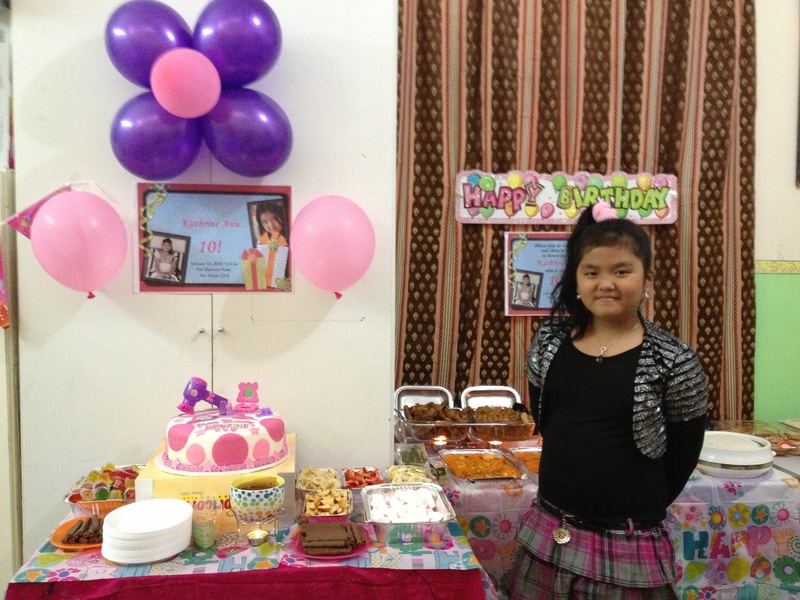 Last January 12, 2013 my daughter celebrated her 10th Birthday. It was unplanned party since she decided weeks ago not to have a party anymore. She just want a shop-till-you-drop shopping for herself (whew), which I discouraged her much, I’m not rich I’m just beautiful lol. Then she opted to have simple dinner with family, ice skate with her cousins then buy one gift she like most. It was 2 days before her birthday when this pickle minded girl ask me to throw her a party, it was really a last minute preparation. We don’t have any invitation yet, no venue, no food, no anything (panic). How can I start organizing a good party in just 2 days. I started by making an online invitation through facebook. Since I cannot get last minutes booking in any fast food or party hall venue. I decided to do it in the Park which later on moved in my sisters place. I contacted some restaurant to order foods, drop by at our favorite bakeshop to order cake, walk at the nearby gift shop to shop some party favors. On the day of the event I beg for some help from my beloved relatives. I ask my mother to take care of the decoration and styling my pretty daughter, my sister and my aunt for cooking additional food, My niece Cathy for assisting them and our friend Jane for taking pictures. After all the hard work and dedication in what we did, I may say we have Job well done. 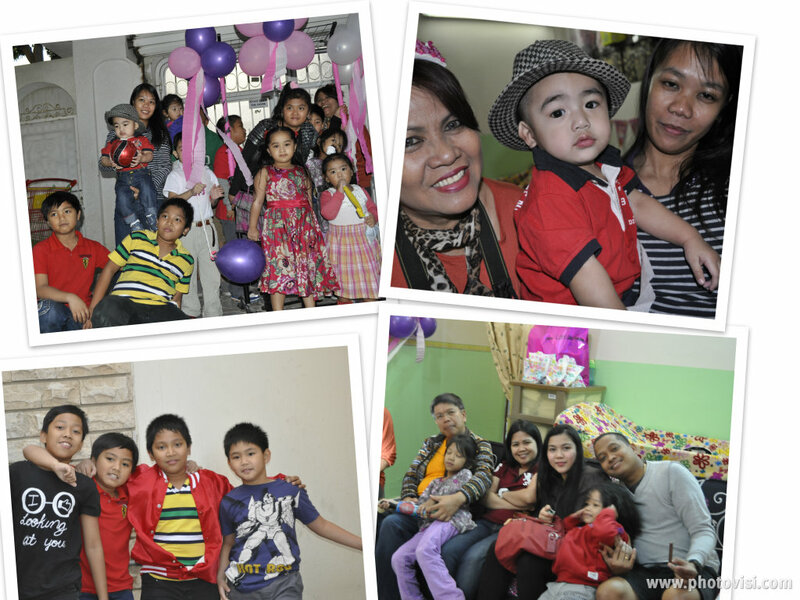 The party was awesome, the kids and kids at heart enjoyed it and my daughter was very very happy. 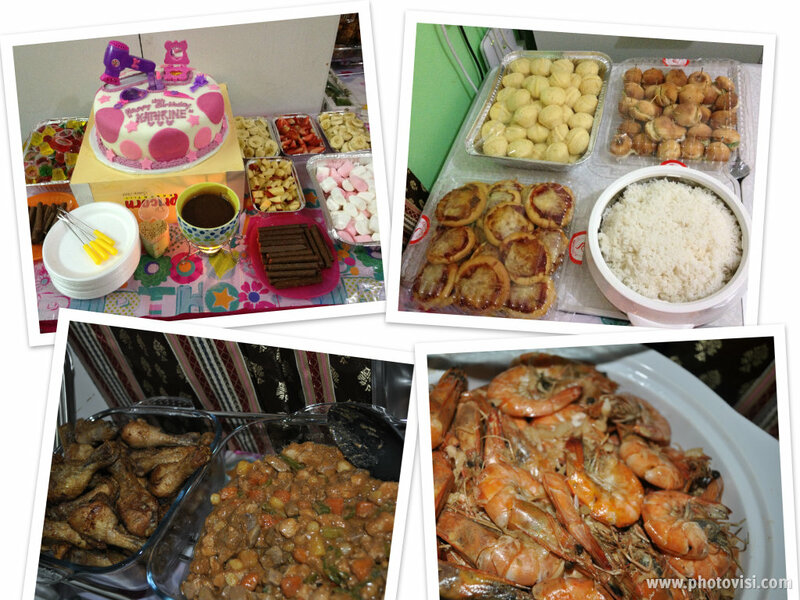 Special Thanks to all my relatives and friends for helping me out in organizing my daughters party. To those who come to join us in this memorable event for Kat a BIG thanks to all of you. happy birthday!! dalaga na ah! Children really grow up fast..My Mum used to give a piece of advise to her younger friends. She always tells them to spend time to their children while they are still young and dependent to their parents. Once they grow up, they prefer to hangout with friends.. Extend my late birthday greetings to your beautiful daughter. Cute ng anak mo. 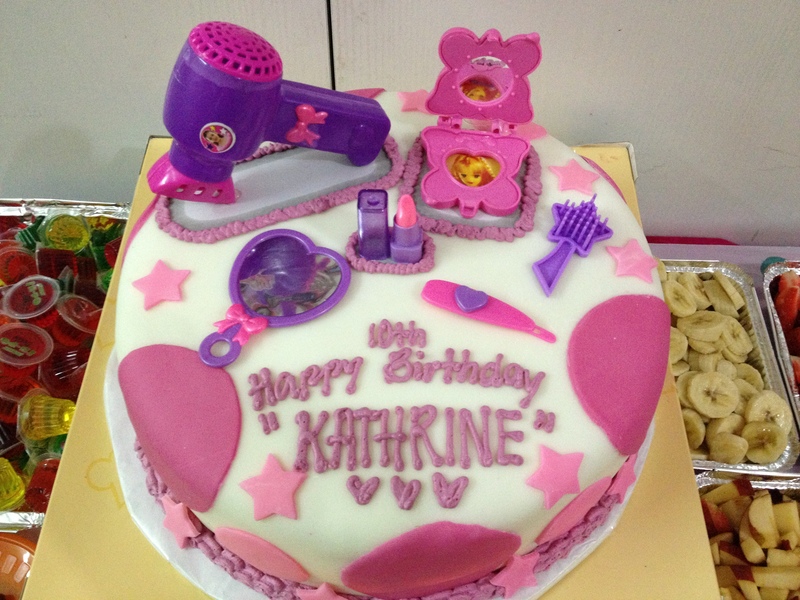 Like ko yung cake, magbebirthday na kase yung pamangkin ko sa March 6 kaso, ako magbabayad sa cake haha. regalo ko na yun. Anyway, belated happy bday sa anak mo.